More than a century ago, the Norwegian Polar explorer Fridtjof Nansen led a group of bold adventurers where, literally, no-one had gone before: across the ice-sheet of Greenland. Greenland was first discovered in the last years of the Xth Century by Norwegians and Icelanders who quickly settled the land. During the Medieval Ages, several thousand Norsemen lived on the southern and western edge of Greenland, surviving by growing hardy crops and breeding livestock. Over the centuries, though, communication between Greenland and the rest of Europe and especially Norway became increasingly difficult and therefore uncommon. Accounts of the Norse settlements of Greenland cease altogether in the early XVth century and it is speculated that these original Greenlanders either died out due to a harsher climate or were simply absorbed by various Inuit groups that were better adapted to this Arctic climate. 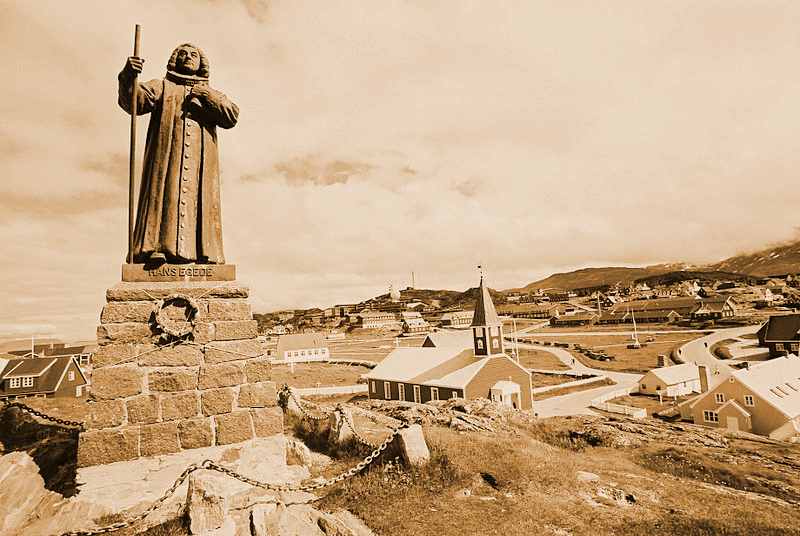 While the memory of Greenland lasted longer than the original settlement, few Europeans visited this hardy land until the Danish crown sent the North-Norwegian minister Hans Egede to settle the island in 1721. From this point on, more and more Europeans (mostly Danes and Norwegians) started to visit and establish themselves in Greenland. None of those colonists however, went further than the coast. Indeed, in living memory, no-one had ever crossed the titanic ice-sheet covering Greenland. 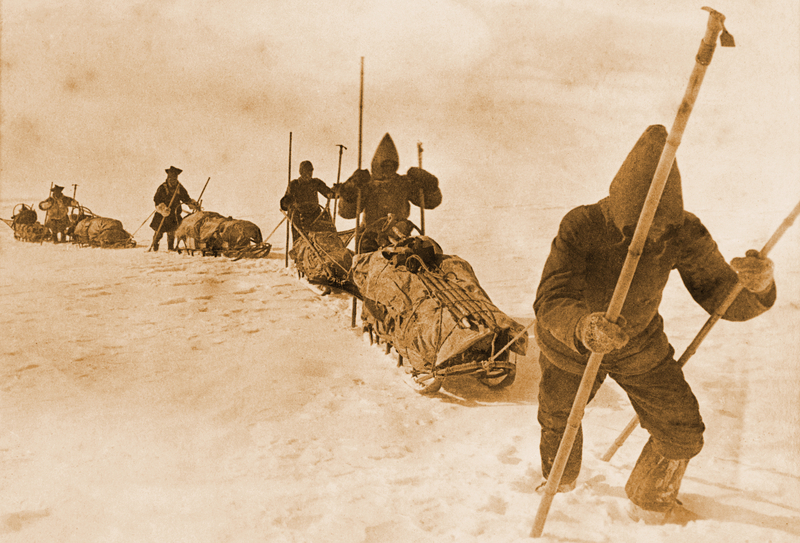 In the late XIXth century several high-profile Arctic explorers attempted the feat of crossing the Greenlandic ice sheet among which were the famous Fenno-Swede Adolf Erik Nordenskiöld and the American Robert Peary. None succeeded however, and it was up to a young Norwegian, barely a quarter of a century old to become the first man to cross Greenland. From left to right: Ole Nielsen Ravna, Christian Dietrichson, Fridtjof Nansen, Otto Sverdrup, Kristian Kristiansen Trana and Samuel Johansen Balto. In 1888, Fridtjof Nansen, a mere biology student at the University of Oslo and an avid skier, organized a daring expedition: crossing the Greenlandic ice-sheet from East (a mostly uninhabited wasteland) to West (where most of the Greenlanders lived) as opposed to the previous Greenlandic expeditions which had all started from West to East. As expected, Nansen could not secure official funding for this expedition but managed to received a grant from the wealthy Danish merchant Augustin Gamél which made it possible for the young scientist to assemble a crew and get passage to Greenland aboard a Norwegian sealing vessel, the Jason. 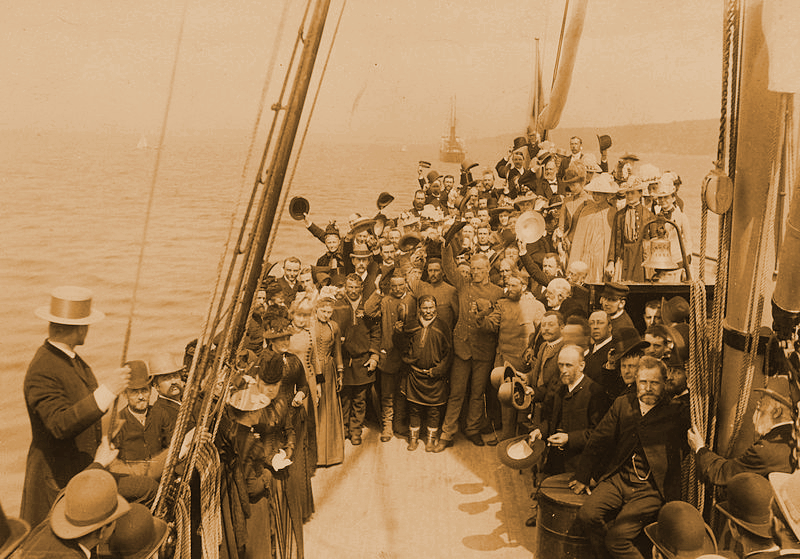 Nansen was not alone on this journey. He assembled a crew that included some highly competent and hardy men. The five that were handpicked for this expedition were the Norwegians Otto Sverdrup, Kristian Kristiansen Trana and Oluf Dietrichson. From Finnmark, the Sámi heartland, came as well Ole Nielsen Ravna and Samuel Balto. The town of Godthåb (Nuuk in Greenlandic) in modern times. The statue on the left represents the Norwegian Minister Hans Egede. Upon reaching the coast of East Greenland the party’s two boats were damaged by drifting ice and the six men had no other choice than to raise their tent on the floating ice. As a result, the men drifted more than 500 kilometers south for over a month. Ultimately, they met with a local Inuit tribe that helped them reach a more northernly latitude from where they started their ski-tour over the ice. The crossing, which took one month and a half towards the end of the summer took its toll on the explorers who had to battle temperatures lower than their thermometers could measure. In addition they had to battle hunger, near-constant snow-storms and crevasses on the ice-sheet. In such conditions, the fact that all of them managed to reach the town of Godthåb in West Greenland without damages is incredible in its own right. Due to the remoteness of Godthåb, the explorers could not leave the town before the winter and spent the next few months among the local population, getting further acquainted with traditional Inuit culture. This experience would prove capital during Nansen’s next expedition with the ship Fram where he attempted to reach the North Pole. Ultimately, in the spring of 1889, The six men left Greenland and reached Norway in May, where they were hailed as heroes. As stated earlier, Nansen would ultimately organize one more expedition to the Arctic waters together with Otto Sverdrup. Kristian Kristiansen Trana moved to the town of Steinkjer where he lived a peaceful life. Oluf Dietrichson, who was already in the Norwegian army, reached the rank of Major General. Ole Nielsen Ravna and Samuel Balto moved back to Finnmark but Balto ultimately immigrated to Alaska where he bred reindeers, prospected for gold and wrote an account of the Greenland expedition which helped pass down the story of what is beyond a shadow of a doubt one of the most important Arctic expeditions of all time. 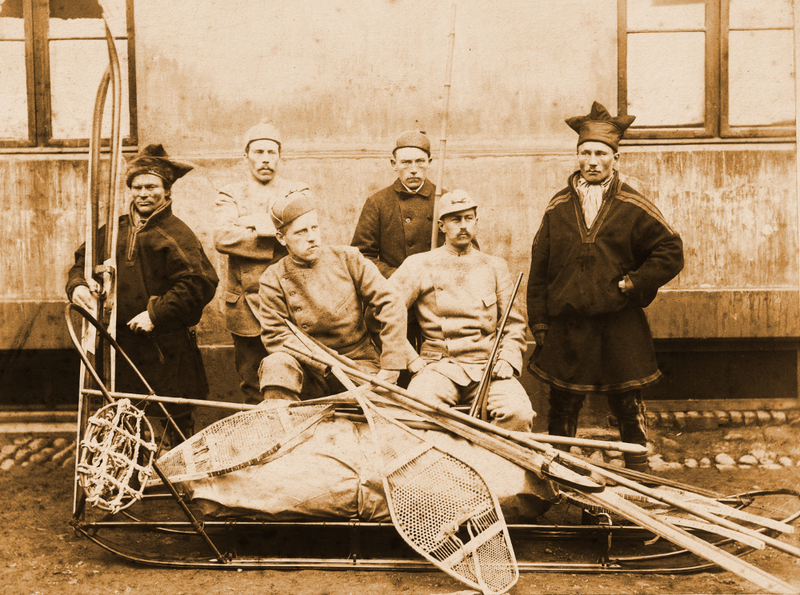 The six heroes of the expedition together with other passengers on board the ship King Carl on their way back to Norway. (1) Nansen, Fridtjof (1911).Northern Mists; Arctic Exploration in Early Times, Vol II. Trans. Arthur G. Chater. New York: Frederick A. Stokes company. (2) Article about Fridtjof Nansen on the Norwegian online Encyclopedia. (I) The expedition over the Greenlandic ice-sheet. Taken by Fridtjof Nansen in late summer 1888. (II) The members of the expedition in Norway before departing to Greenland. Photo taken by the photo studio Siems & Co. in 1888. (III) The town of Nuuk in 2008 by Wikipedia user Svíčková. (IV) A picture of the returning Norwegian party by Ludwik Szaciński in spring 1889.